Before the Allied invasion of Normandy in World War II, the American and British armies constructed armies of dummy tanks and landing craft in the south of England to confuse the German high command of their intent. 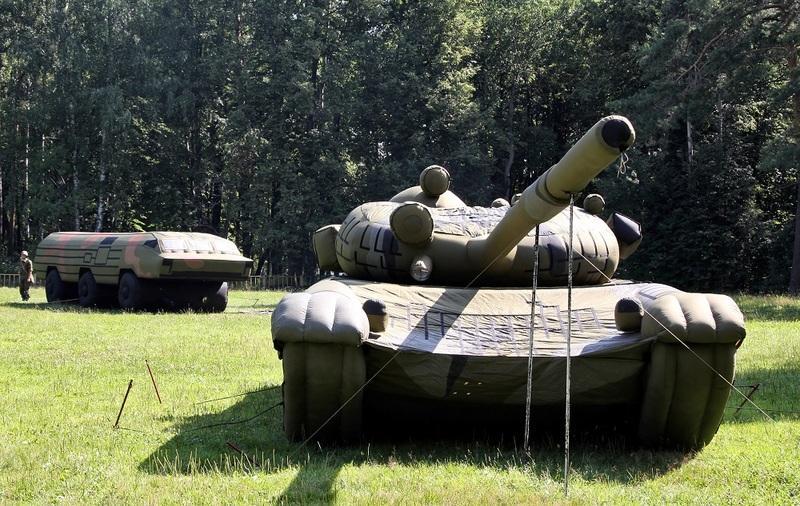 Imagine a Sherman tank in the form of a bouncy castle — ridiculous up close but enough to fool a fighter pilot in the air. 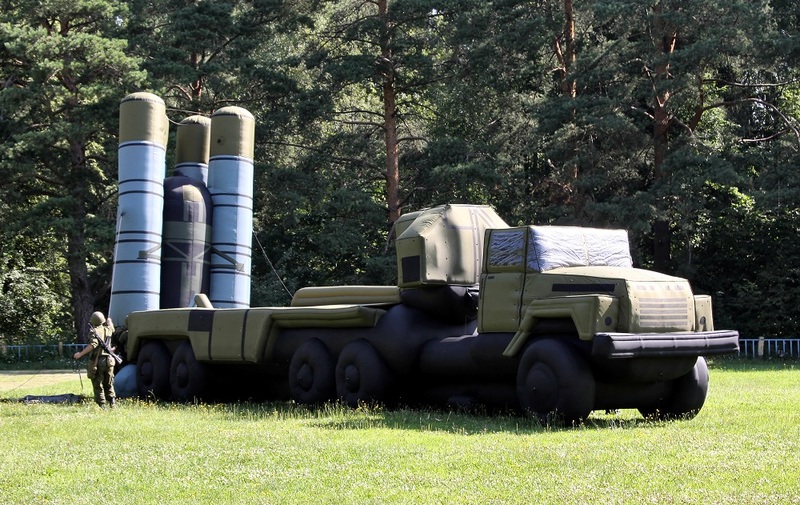 This tradition of inflatable dummy tanks and phony ballistic missiles — imitasiia or imitation — is still alive and well in Russia thanks to the 45th Separate Engineer-Camouflage Regiment based in Vladimir Oblast east of Moscow. The unit has a variety of blow-up tanks, missile launchers, armored personnel carriers and other weapons. While these tactics are hardly new in Russia or elsewhere, Russia recently finishing reforming the 45th Regiment, nicknamed the “Inflator Regiment” in June 2017. In fact, the unit descends from the 45th Engineer and Sapper Regiment, which served during the Soviet war in Afghanistan. 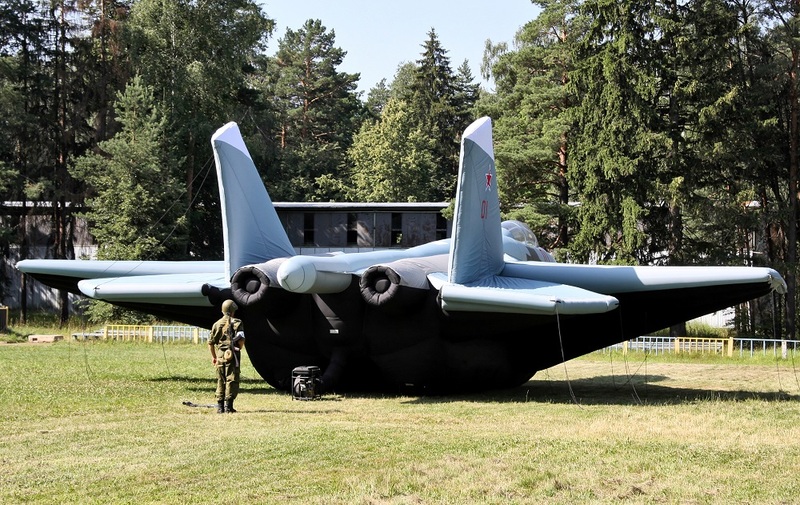 It’s also worth noting that the reformation was just in time for the Zapad 2017 exercises in September 2017, the largest Russian military exercise since the Cold War. The 45th took part in Zapad. 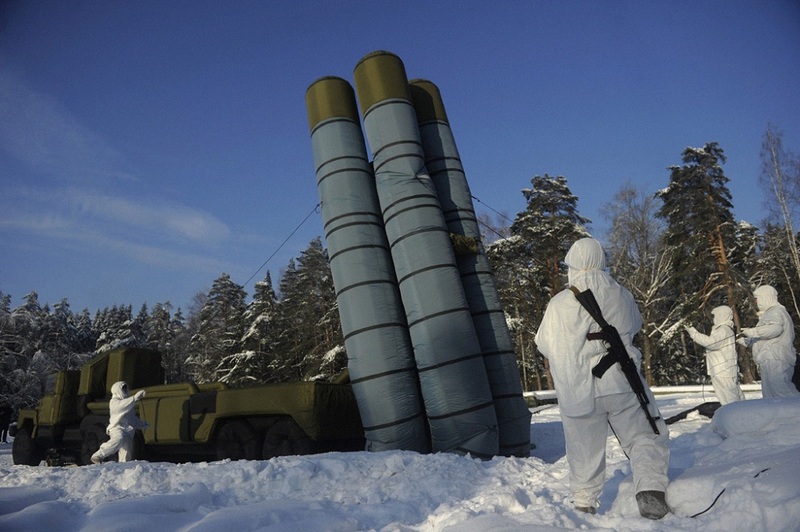 “Soldiers in just a few minutes can deploy decoys of artillery and missile systems and even build a dummy airfield,” the newspaper Izvestia reported. OE Watch, the monthly newsletter of the U.S. Army’s Foreign Military Studies Office, took note of the unit’s progress. Russian media reports suggest “that this unit is capable of camouflaging the electronic signature of deployed units,” the newsletter noted. The primary purpose of inflatable vehicles is misdirection. Every spy plane, warplane, laser-guided bomb and satellite pass consumes resources and attention that could better be spent hunting for real, actual hardware. Fake targets absorb the enemy’s focus, or at least serve — as NATO learned to its dismay in its 1999 air campaign targeting Serbia — as a cheap and effective distraction. An inflatable vehicle worth a few hundred dollars at most, being hit with a $20,000 bomb, is more than a decent tradeoff. It’s also not bad for a few minutes worth of work.